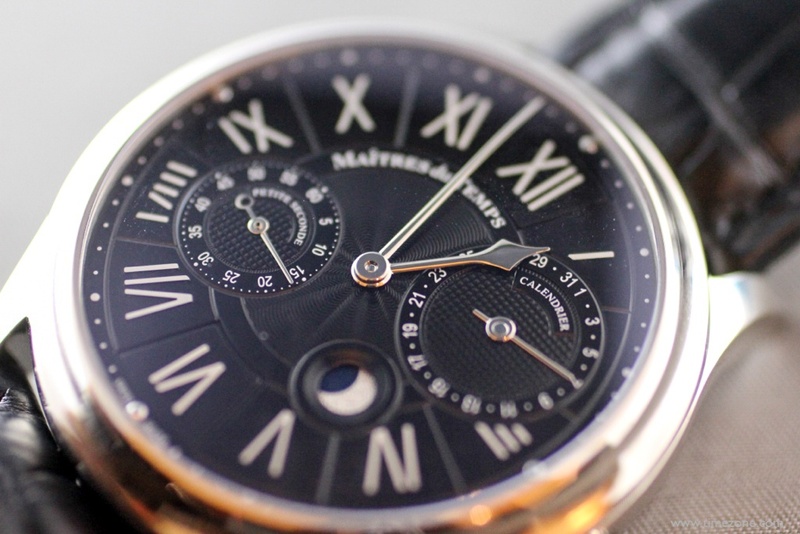 The Maîtres du Temps Chapter Two Classique is an instantaneous triple calendar wristwatch with cylinders for the day barrel and month barrel, as well as a grand date at 12 o'clock. 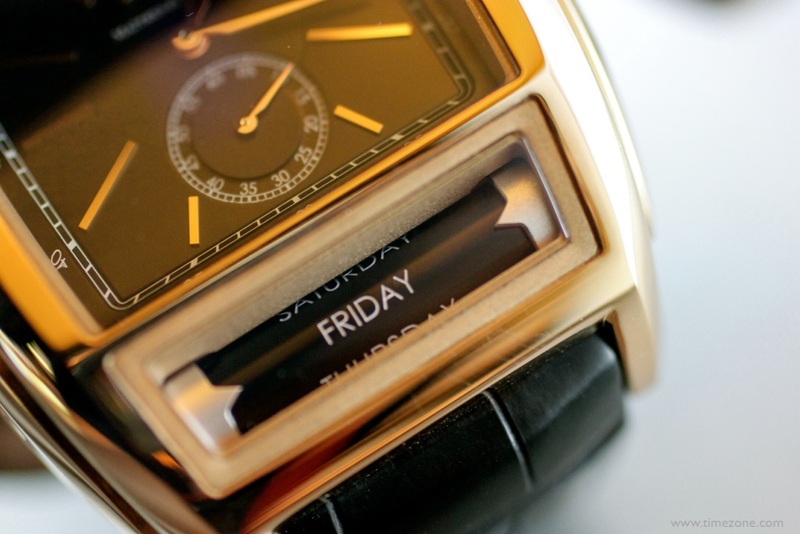 The gold tonneau case has six sapphire crystals and is the perfect design for the calendar cylinders. The correctors are intuitive and easy to operate, with the big date corrector above the crown at 2 o'clock, and the day and month correctors integrated into the case back. As we saw last year, the Chapter Two dial had the distinctive aesthetics of Daniel Roth with its sunray guilloché and circular grain satin surfaces, as well as Peter Speake-Marin with its Gothic-style Roman numerals. 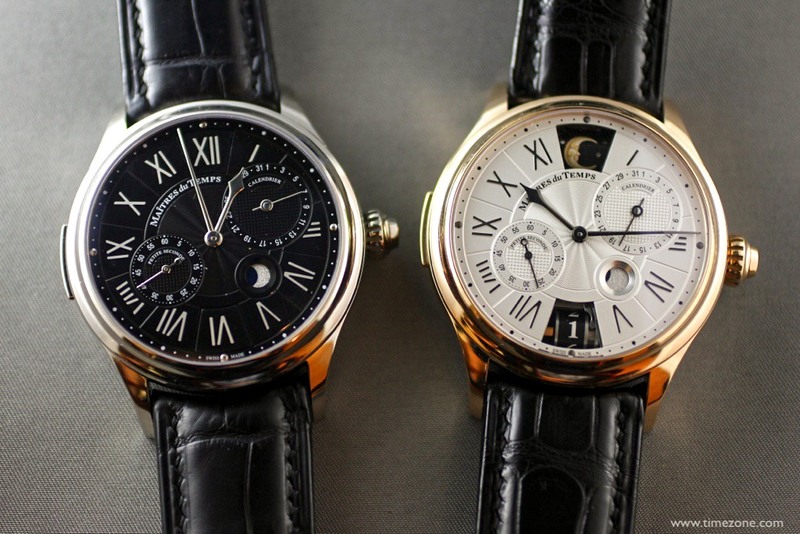 For 2014, the Chapter Two Classique dial is refreshed with simple hour markers and a clean, engraved font for the day and month barrels, as well as the grand date. 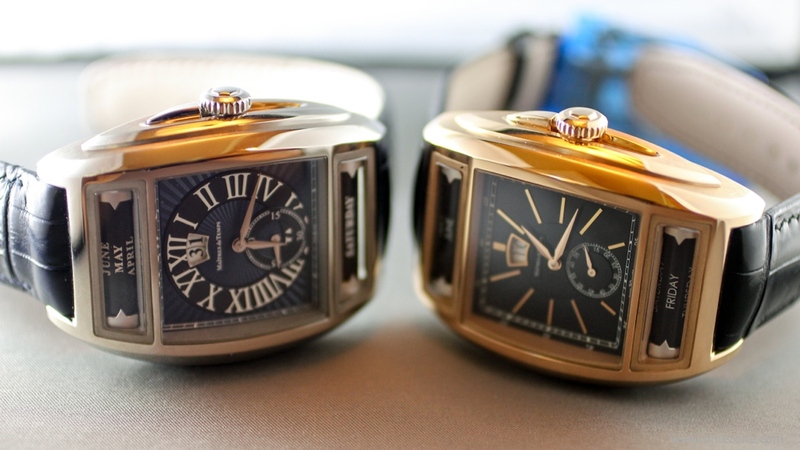 The tonneau variation of the Chapter Two Classique measures 58 mm × 42 mm × 16 mm and is crafted from 18-carat white or red gold. 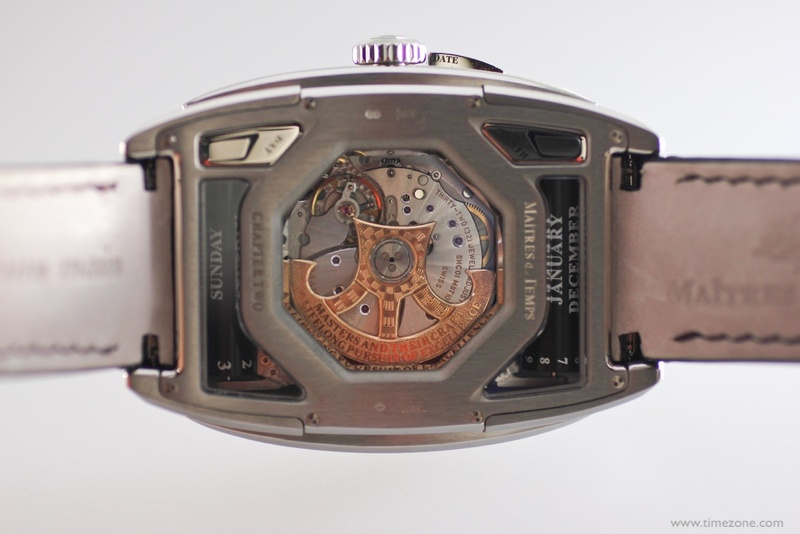 The complex case construction is made from 49 component parts, including 6 sapphire crystals (three on the obverse and three on the reverse). 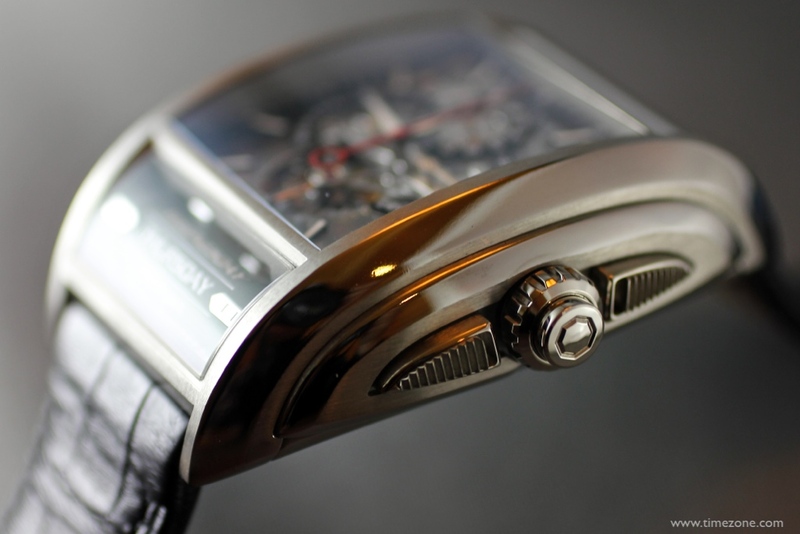 The case surfaces are hand-finished in a combination of mirror polish and satin brushed finishes. 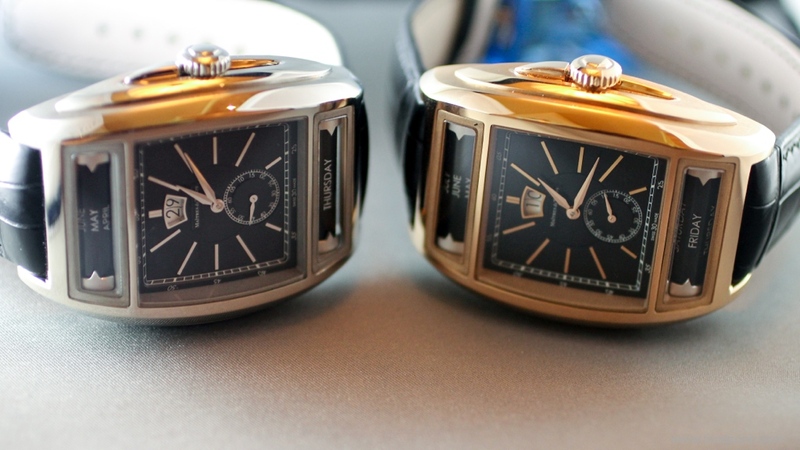 The Chapter Two Classique is priced at US$88,200 in red gold and US$90,300 in white gold. The 32-jewel Calibre SHC01 automatic movement was developed by master watchmakers Daniel Roth and Peter Speake-Marin and is lavishly decorated to the highest level. 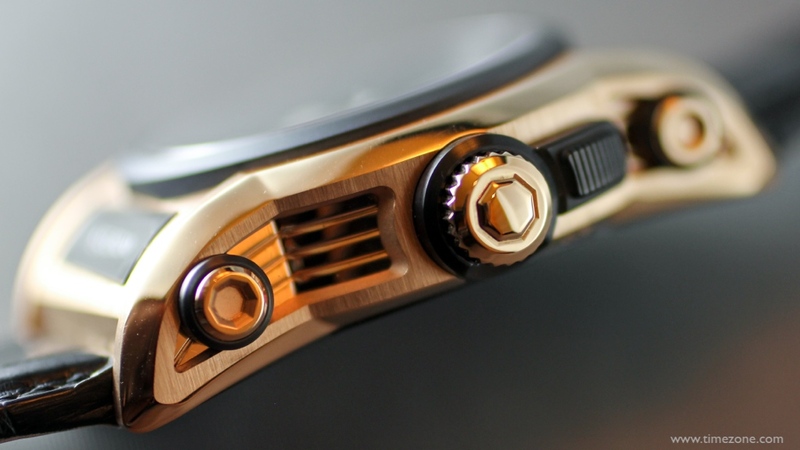 The Chapter One is the world's first combination of tourbillon, monopusher column wheel chronograph, retrograde date, and retrograde GMT, as well as moon phase and day of the week on rollers. 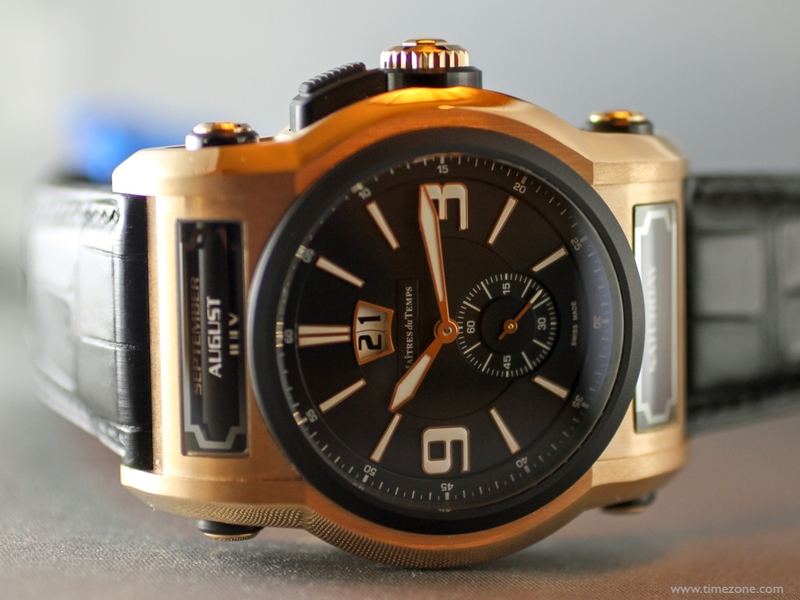 This year's limited edition C1-3T refines the timepiece in a titanium tonneau case. 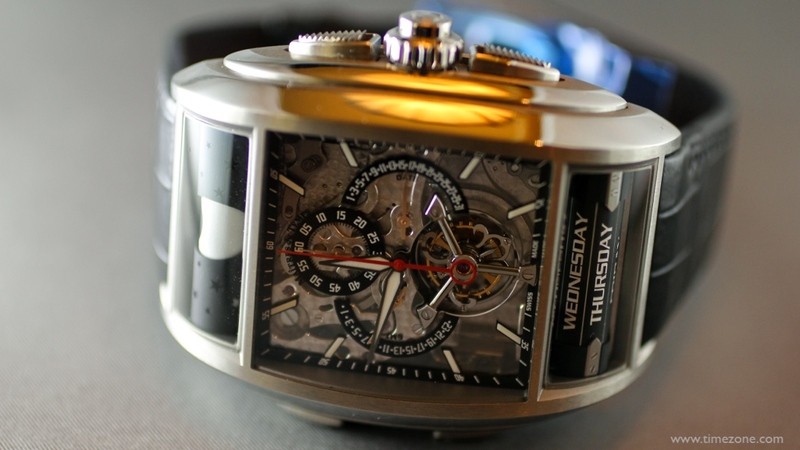 The beautifully finished tonneau case measures 62.60 mm × 45.90 mm × 18 mm with mirror polish and satin finishes. The crown, case back correctors and screws are all crafted in 18-carat white gold. 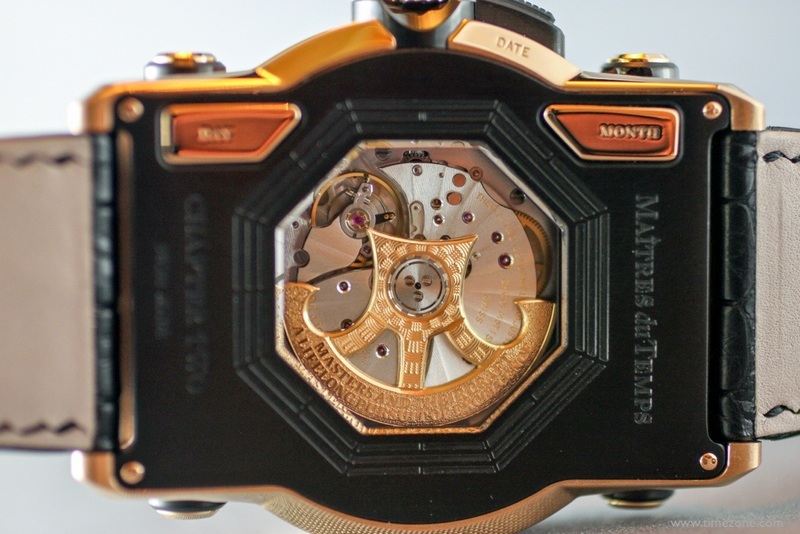 The remarkably complicated Caliber SHC02.1 manual-wind movement is the result of a collaboration with Christophe Claret, Roger Dubuis and Peter Speake-Marin. 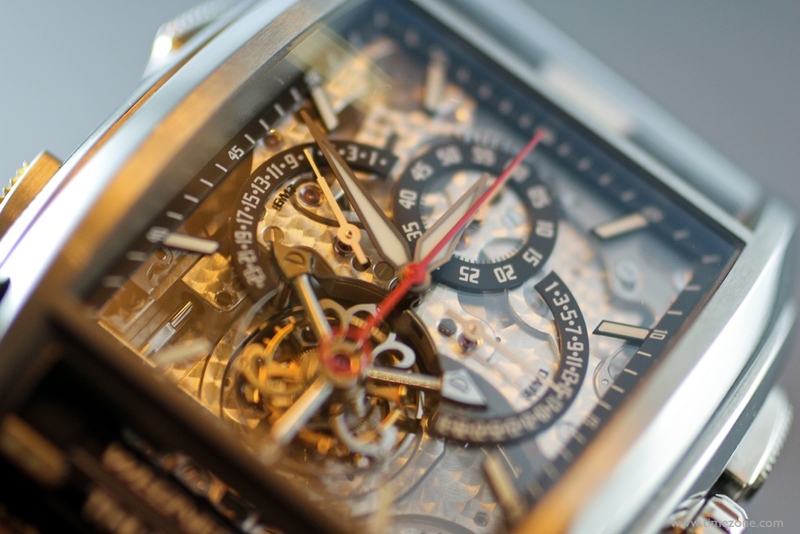 The central hands indicate the hours and minutes. 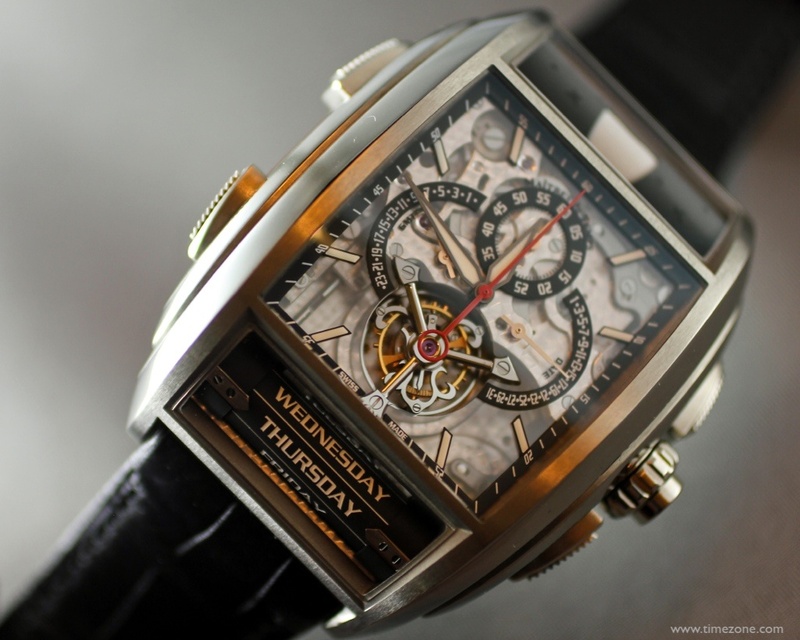 The central chronograph hand is in red. The 60-minute counter is indicated at 12 o'clock. 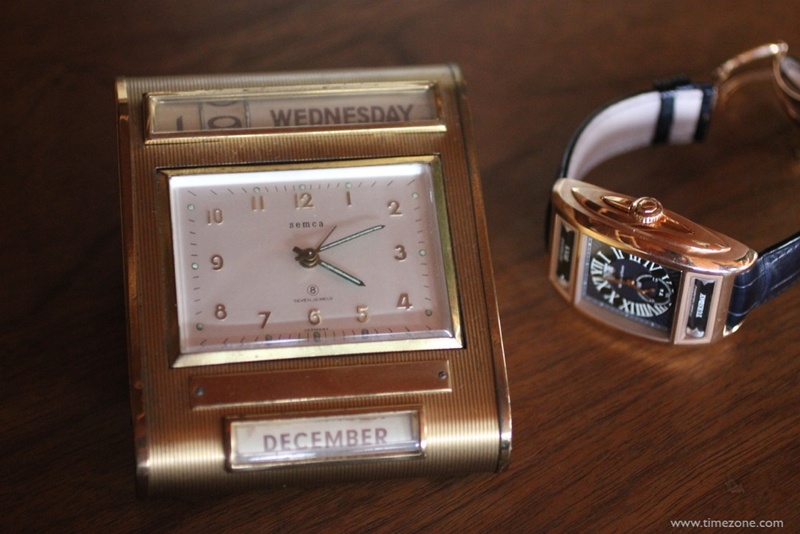 The retrograde date is indicated at 3 o'clock. 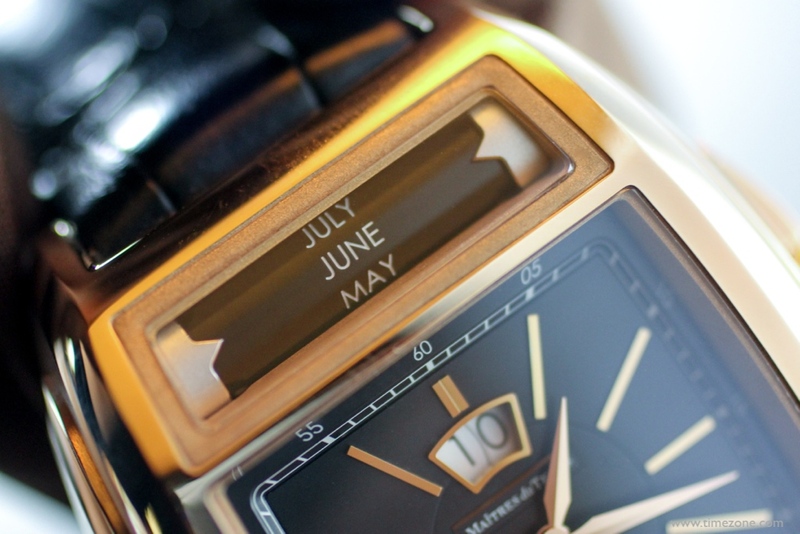 The retrograde GMT is indicated at 9 o'clock. 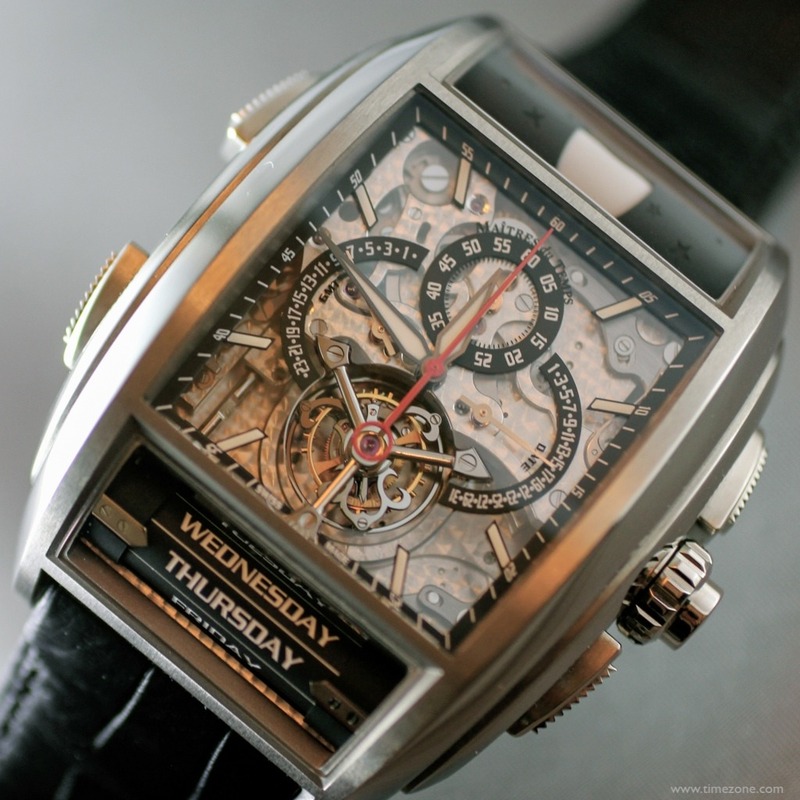 The one-minute tourbillon is located at 6 o'clock. 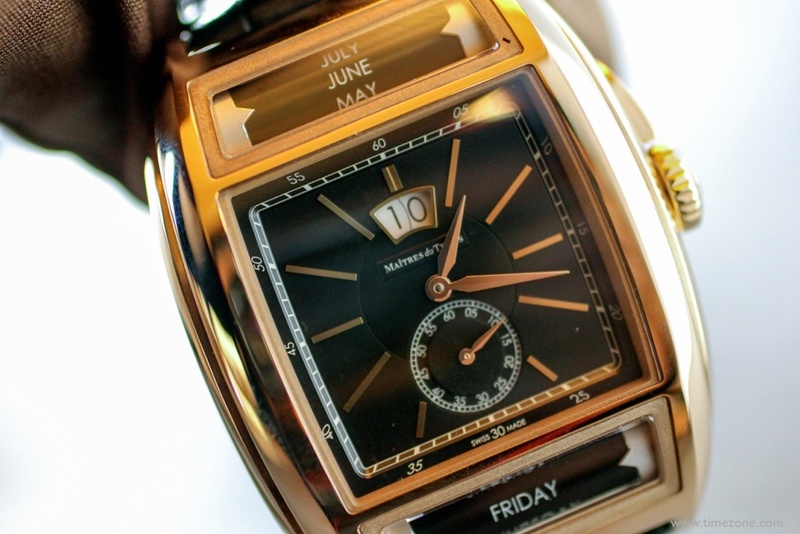 The day of the week indication is indicated on the cylinder at 6 o'clock and the patented moon phase indication is indicated on the cylinder at 12 o'clock. 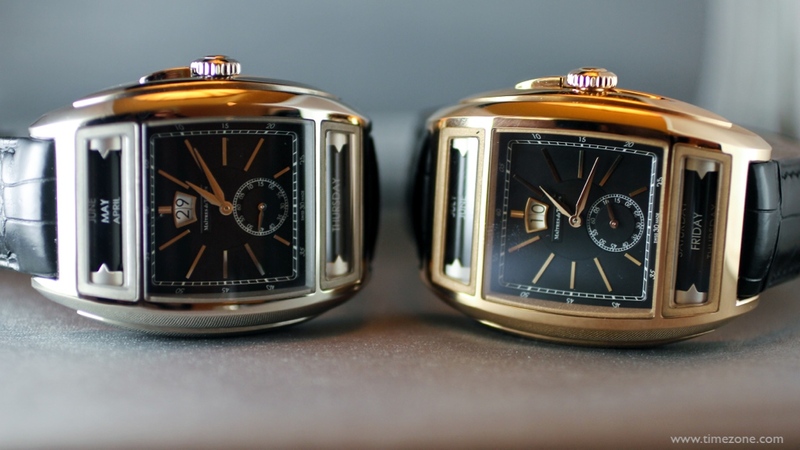 Four locking correctors are located on the case sides. The date corrector is located at 2 o'clock, the day of the week corrector at 4 o'clock, the moon phase corrector at 8 o'clock and the GMT corrector at 10 o'clock. The open dial reveals a manual-wind mechanical movement with hand-bevelled cut-out bridges and a precious metal finish Chronograph Bridge. 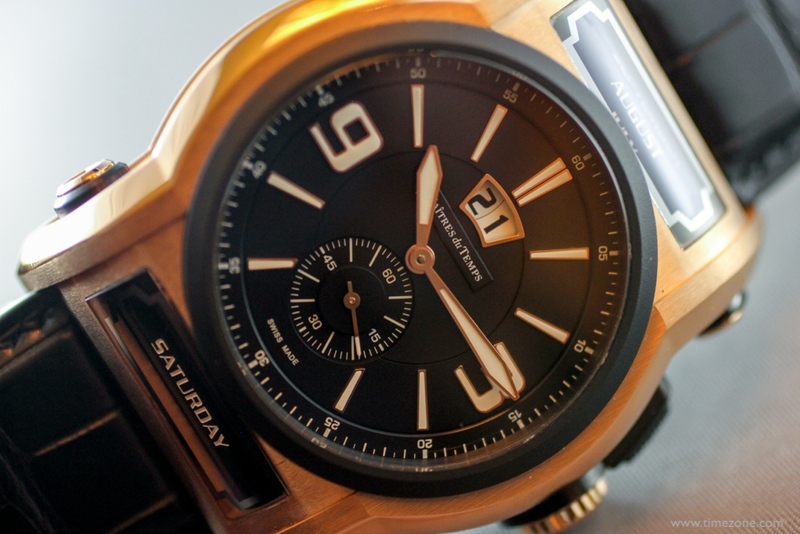 The limited edition C1-3T is one of 11 pieces and each is individually engraved One of 11. This new TCR represents the casual and sporty variation of the Chapter Two. 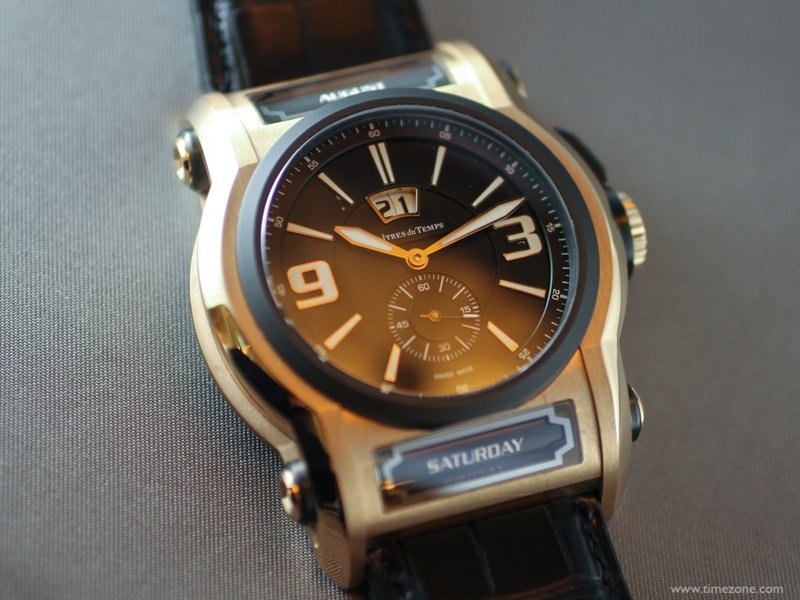 This Chapter Two TCR model has an 18-carat red gold case with matte ceramic bezel and blackened titanium that measures 56 mm × 44 mm × 15 mm. 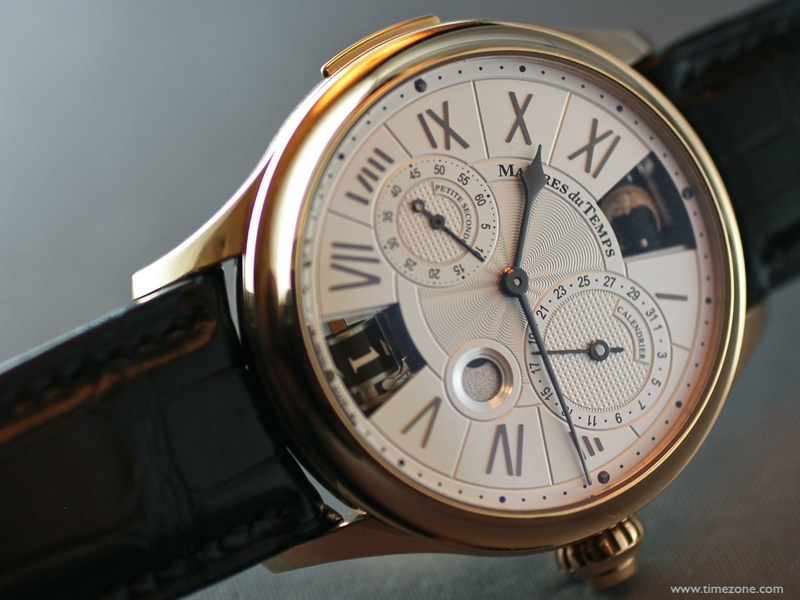 The central hands indicate the hours and minutes, a grand date is located at 12 o'clock with a month barrel above it at 12 o'clock, and the subsidiary seconds is located at 6 o'clock with a day barrel below it at 6 o'clock. Finally, the Chapter Three Reveal that impressed so many >last year has been refined with a silky smooth crown pusher that opens the dial panels to reveal a day/night indicator & second time zone. 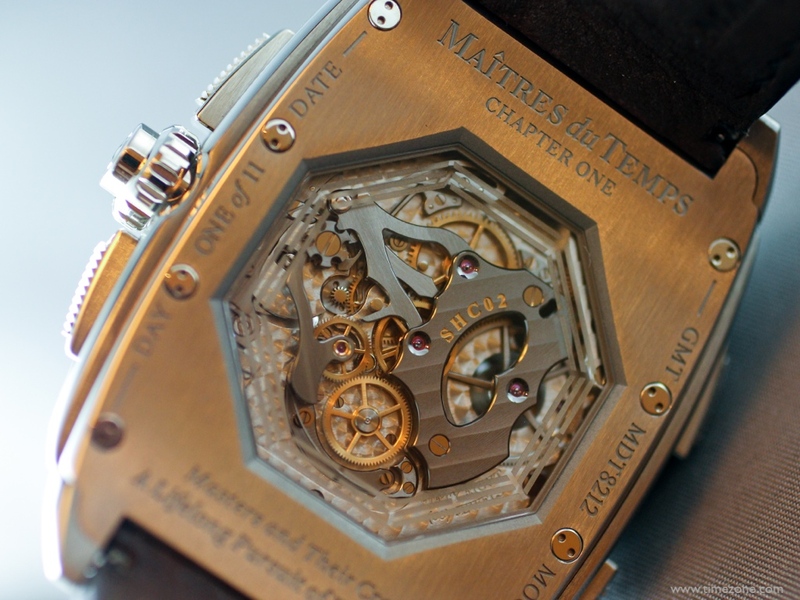 The Chapter Three Reveal brought together Kari Voutilainen and Andreas Strehler to develop this elegant timepiece. 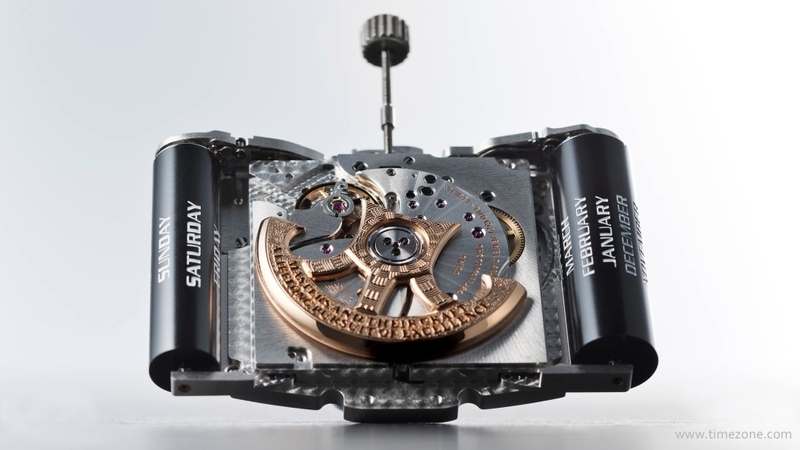 Last year, the crown pusher required more finesse to operate the opening/closing mechanism for the dial panels, and this year Andreas Strehler has refined and perfected the mechanism so that the pusher is intuitive and easy to operate. 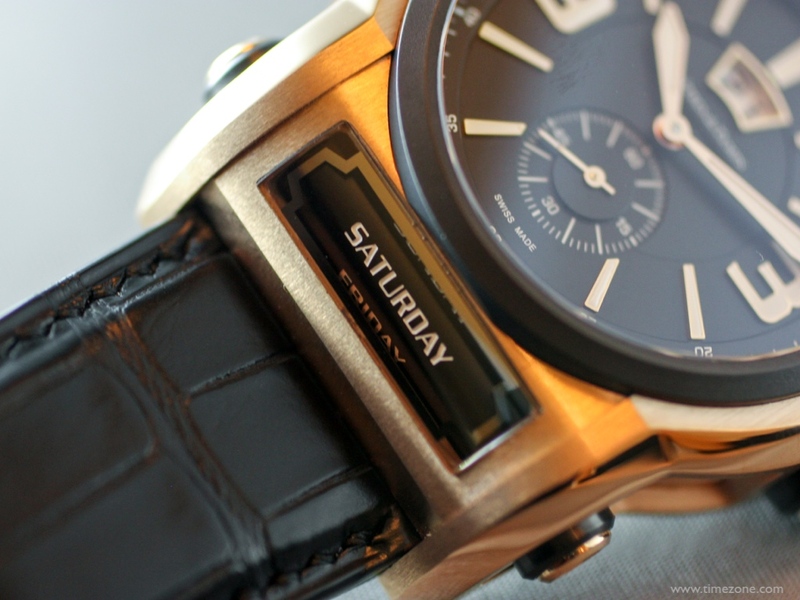 Not only is the mechanism an easy push of the button in the crown, the dial is entirely seamless when closed so that the reveal is stealth and a surprise to anyone unfamiliar with the timepiece. The collection is expanded with new dial variations in white or grey and, most importantly, a refined reveal system that is silky smooth to operate. Previous Topic: MCT Sequential ONE and Sequential TWO and the difference between the two.